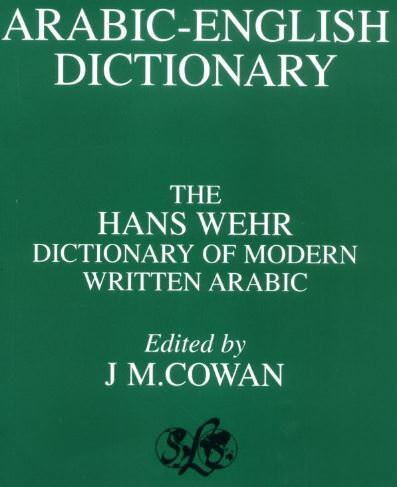 The Hans Wehr dictionary of modern written Arabic combines authority and compactness, providing the serious student of the Arabic language with an essential resource in his search. What distinguishes it from other dictionaries is its arrangement according to the root letters of a word. In addition to this, it is also rich in a common and classical phrase and usage examples. The author provides a useful introduction in which he analyzes, in a clear and precise way, the current state of the Arabic language. It points out situations in which written and spoken varieties of Arabic are used, and observations on the forces that influenced the development of the lexicon of modern Arabic. It analyzes both the purist movement and its normative tradition, and what might be called the actual use of laissez-faire by writers and journalists under the influence of Western modes of expression, their everyday colloquialism, or both. Then he tackles the problem of local terminology, especially for public institutions, offices, administrative matters, you, less and food. Although these terms are included for most Arab countries, the list is not complete, since, in fact, the author recognizes (viii); readers are advised about Arabic material characterized by a different regional coloration that refers to dialectal dictionaries and glossaries. His erudition, precision, and reliability make it one of the most significant contributions to Arab lexicography. It is hoped that this masterpiece will point the way towards a wider use of modern lexicographical principles in the compilation of dictionaries for previous periods of the Arabic language.